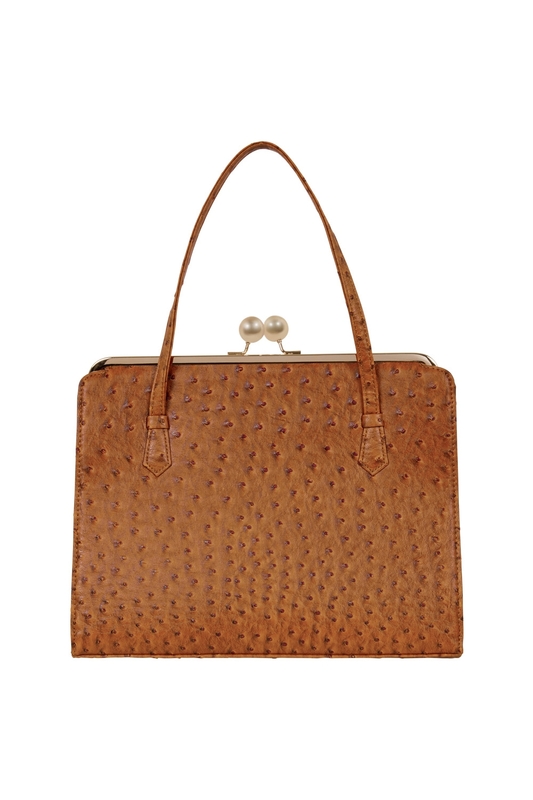 Elegant and understated, our Iris 40s Style Handbag is a vintage inspired piece that echoes the bespoke glamour of eras gone by. 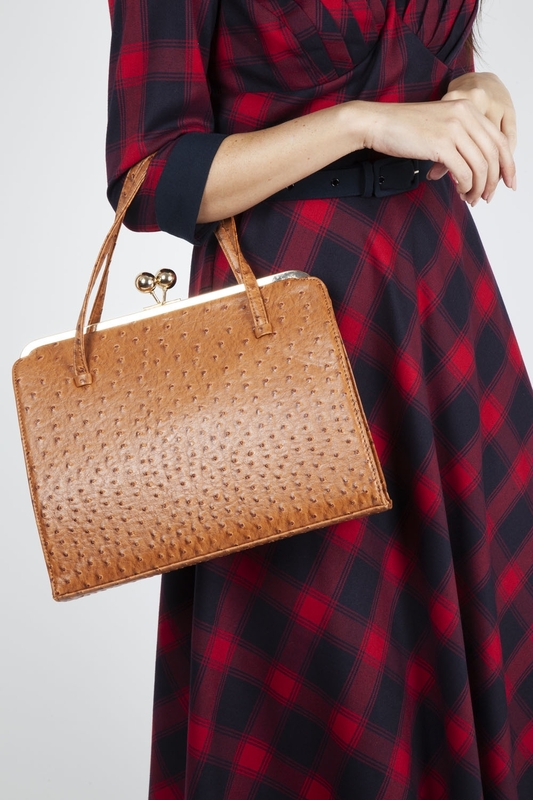 With its dramatic purse-style clasp opening, this bag is the perfect autumn accessory. Love the look? Check out the Liz Leopard Print Handbag!